Automation is a tool that, much like most tools, can be used for great benefit or great detriment to your blog. Used properly and in moderation, it can save you a lot of time and energy. 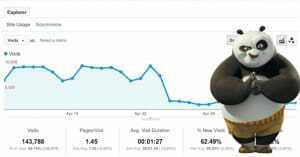 Used poorly, it can tank your search ranking and consequently your sales, with very little recourse short of a major site audit and review. Honestly, most of the time I prefer not to automate anything beyond simple scheduling. Anything more than that is just losing control I’d rather not lose, in exchange for a bit of extra time. Instead, I’ll just tell you what can go wrong and what to avoid, so you can either go my route or have a list of things to watch out for. Automatically posting blog content has a lot of issues associated with it. I’m not talking about hand-crafting content and scheduling it to post automatically, though. That’s fine. What I’m talking about is running an entire blog with a piece of software that creates and posts content for your blog without much if any intervention from you. There are two major problems with this sort of blog management. The first has to do with the source of the content you’re posting to the site. The second has to do with your association with it. Where do you think content comes from, when you’re using an auto-generated blog program? There are a few options, none of them good. It comes with a database of content when you buy it. This is rare, thankfully, but it doesn’t matter. If a blog machine is posting content that comes with it, it’s content that everyone who uses that machine is getting. 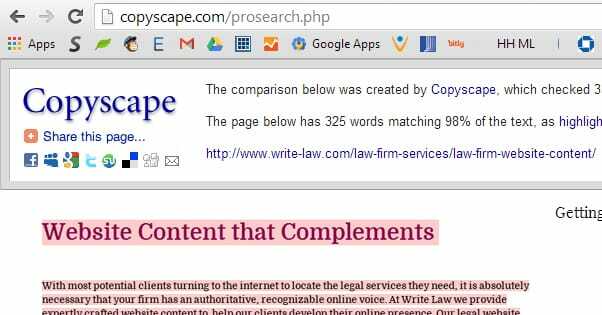 That means you’re posting content to your blog that is already posted elsewhere, making it copied content, which earns you a search ranking penalty from Google. 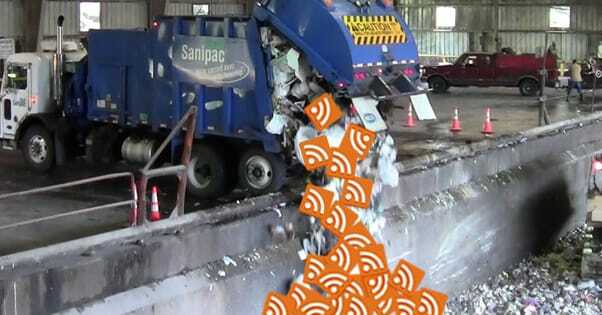 It scrapes content from the web and posts that content on your blog. You may think this is a form of hard content curation, but it’s not. Realistically, it’s content theft. Not only is this against all sorts of use terms and against Google’s best practices; it’s also intellectual property theft. The original owner of the content can have your site taken down because of it, or worse, they can take you to court over it. It spins content it scrapes from the web. This technically makes the content “unique” enough that the original owner of the content isn’t going to be able to sue you over it, but it’s not going to be giving you any real value. Google parses content in a “fuzzy” way, with awareness of synonyms and spintax. They know how content spinners work, and they can identify spun content from the telltale signs. You’ll be labeled a spam blog or given very little value for your content. It spins content you plug in manually. Well, the problem here comes from where you got the content originally. Chances are pretty good you’re not spending the time to write good content just to feed it into a spinner. More likely you’re scraping it, and that brings us back to the previous point. You’re buying it from low quality, excessively cheap writers on places like Textbroker or Fiverr. This content is going to be original, probably, but it’s also going to cost you for it. It’s also going to be barely readable English. The problem with a lot of these low cost content mills is that the people writing content for such a cheap price barely have a grasp of the English language. As a matter of fact, most of them don’t actually live in an English speaking country; they live in places where a cost of living is so low that $3/hour is a livable wage. Any other source of content is going to be giving you decent enough content that you’re not going to want to auto-post it or spin it. At that point, you’re just scheduling content, and again, that’s fine. 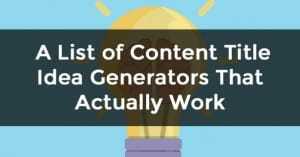 It’s when you’re spinning or generating content that you run into trouble. In case you’re not sure why spinning content is bad for your site, take a look. Spinning content is by necessity not original; someone else covered it first, and they did it better than you did, because you’re not adding any value. Spintax needs careful monitoring to guarantee human readable content, and once you’re putting in that kind of effort, you might as well create something original. On top of all of that, the way automatic spinning works is by replacing words and phrases with synonyms. The problem is, some words have very different meanings depending on context. Body and Corpse are words with roughly the same meaning, but turning “body of work” into “corpse of work” doesn’t work. Definitions and connotations are different from phrase to phrase. There’s also the problem of socialization and community. 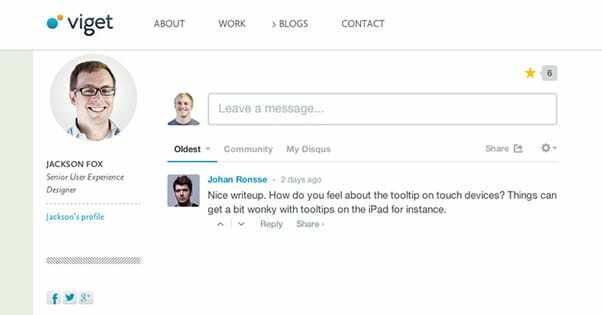 When you’re automatically running a blog via a piece of software, what happens when a comment comes in? Someone reads a piece you “wrote” and they ask you a question. Well, for one thing, absolutely nothing happens. You don’t even know there’s a comment, because you aren’t checking the site. You’re not paying attention to it beyond the fact that it’s getting you links that, you hope, have some value. Now, the problem here comes from any time you have a community or a blog – or a set of social media profiles – you’re trying to run via automatic posting. These are cases where you already have a community and you’ve just decided that it’s too much time, effort, and money to run the way you have been for the amount of benefit you’ve been getting out of it. In an attempt to boost your ROI, you start cutting down on expenses, publishing worse content with less engagement. This will inevitably lose you followers. Many will leave, and many more will simply stop engaging with your posts. The loss of fans and readers means you have to cut back even more to maintain a dropping ROI, and that in turn makes the whole thing spiral worse and worse. The problem with me talking about the evils of automatic posting is that most of the people doing it don’t care. They’re fully aware of everything I’ve said, but none of it counts as a detriment to them, because they don’t care about the quality of the content or the engagement of the audience. They don’t even care if there’s an audience at all. In reality, they’re just using auto-posting to set up a basic shell of a site that can be used to link to other shell sites with slightly better content, which can be used to link to moderately better sites, which can in turn be used to link to their main money site, hopefully with value chaining all the way up. This sort of tiered link building has nothing to do with traffic or content quality. All that matters is that the sites exist and look good enough to pass circumstantial inspection. As long as Google doesn’t label them spam and deindex and devalue them, that’s all that matters. That means their links have value, however minimal that value may be, and those links can be leveraged. This whole black hat link building and content publication scheme, unfortunately, is a constant sine wave of activity. 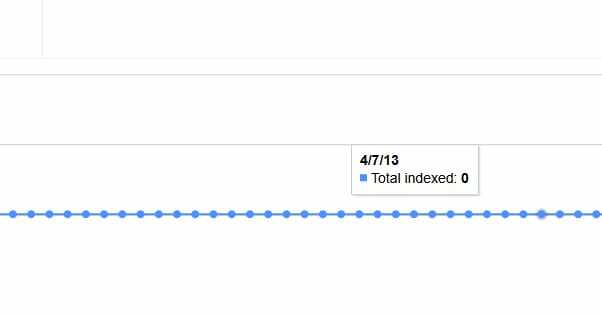 Your ranking for your money site rises as you build more sites, and drops as Google finds, labels spam, and removes them. You can’t fight back, because improving one of these sites is more effort than it’s worth. You just let them lapse and build more, for a constant cycle of minimal, transient value. This post is mostly written for those of you thinking automation is a good way to go with an established blog and audience. The fact is, you’re going to jeopardize pretty much everything unless you very carefully monitor what you’re publishing, and at that point, you might as well be doing it manually anyways; it will be less of a hassle. One bit of automation that people don’t think of as automation is syndication. 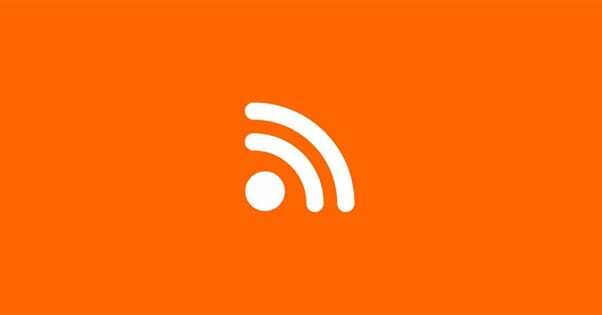 Often, syndication is seen as a potentially useful technique for bloggers. I feel otherwise. The idea behind syndication is that you write a blog post and you have it published on a handful of sites in a syndication network. It might show up in a bunch of Demand Studios blogs, or in the Yahoo News network, or whatever. Those are some high profile sites, right? That’s sure to send a bunch of value back your way. Well, the problem with syndication is that it’s not a guest post sending traffic your way, it’s a copy of a post already on your site. Now, with proper syndication, that’s not going to be a problem in and of itself. Google understands syndication and knows not to apply duplicate content warnings when syndication is present. However, if the site has set up their code wrong, it can still trigger those warnings. Syndication also doesn’t do you any good because the full post is right there. Why would a user of Yahoo News want to visit your site when they can read the same story right there on Yahoo? Then you have the ranking problem. I guarantee you that Yahoo is going to show up in the search rankings higher than your site for that piece of content, even though both pieces of content are identical and you’re the original source. Google doesn’t care; they go by the SEO mass behind each site, and Yahoo with its millions of pieces of content has a lot more of that mass than you do. Essentially, syndication is taking a piece of content that could be valuable to your site and giving it a ton of value for someone else. Sure, you might get a link from Yahoo or whatever, and that link might be beneficial, but it’s not going to help you as much as the native readers would. Syndication is fine if you use it rarely. A handful of links from Yahoo will be valuable to you, but if every single post you publish is syndicated, you have nothing unique to offer on your site. If you want to minimize your own personal workload with your blog, but you don’t want to resort to techniques and software that will kill your site, you need to look into hiring a team of writers. Hiring writers for your staff is the ideal way to “outsource” your blog. You can vet them and make sure they’re producing content up to the level you want to see on your blog. You can hold them accountable, either via their employment or their contract, to make sure they continue producing content of a sufficient quality level. On top of that, writers in various industries often have a particular set of skills and knowledge relating to that industry. If you hire an SEO writer, they’re going to have a good idea of what goes on in the industry, so they can keep up with what they’re writing about. No one likes out of date or unoriginal information, and good writers avoid both. They provide the great content you see on top tier sites around the web. Plus, like those sites, you can always hire them as ghostwriters. That means your name is still on the content, but you don’t have to invest the time necessary to create that content yourself. Essentially, working with a team means being able to guide the content production the way you want, put checks on the quality to make sure it’s up to par, and leave the actual act of writing to the professionals. You can even hire people to run your social media presence and your blog comments to keep that community going as well. Sure, this method is going to be more expensive in terms of cash than getting a basic piece of software to spin content for you. However, it’s also going to keep the value of your sites building, draw in new readers and customers, and increase your profits. It also frees up your time to do more beneficial things for your business, instead of working on content. 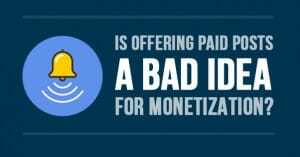 Is Offering Paid Posts a Bad Idea for Blog Monetization?